That is awesome! We were going to do something like that at our family reunion a few weeks ago [forgot to], but in reverse. 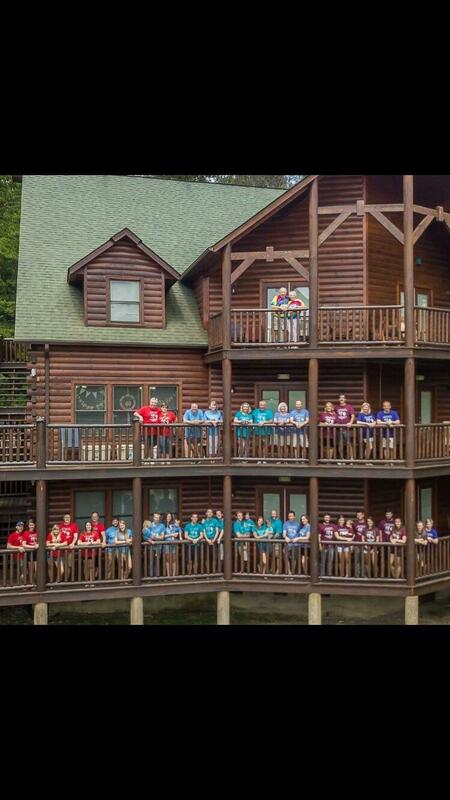 We only have 1 balcony, so we were going to line up on the grass and have the photo taken from the balcony. Sure wish we had got to it! For those whose grandparents don’t have a 3-story house with balconies, why not go to your local high school gym and arrange the generations on the bleachers, skipping a row or two between generations? This is so clever! Wouldn’t you know grandma & grandpa had the most stairs to climb…. Terrific idea just the same..
At our recent WITWER Reunion in Lancaster County PA, 44 members stood behind a 50-foot family tree that I did and we took a video and individual family group pictures. Then we laid it on the picnic tables and each one could see their record and the photo included. It was fun to see. I’ve been wanting to do a Tree chart for years! A friend of ours did hers and found two cousins she never knew she had!